EXCLUSIVE AT NET-A-PORTER.COM. Silvia Tcherassi was the first Latin American designer to be invited to show in Milan and Paris, so it's only fitting that her beautiful clothes feature in our latest initiative, the Colombia Collective. 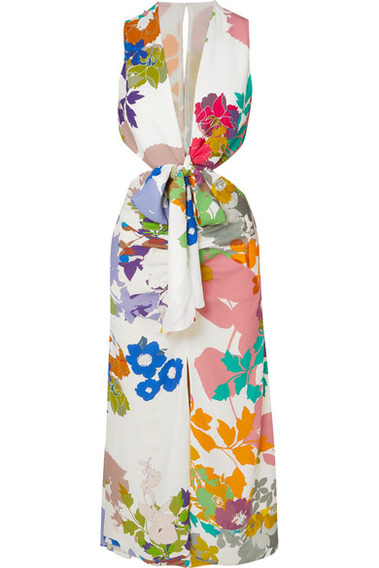 Inspired by her idyllic homeland, this 'Cartagena' dress is printed with blooms in a rainbow of shades. It has an open back and plunging tie-front, and the asymmetric skirt is backed with bright-yellow for a flash of color whenever you move.